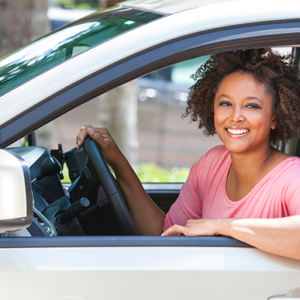 MMG will keep you rolling with a wide array of automobile insurance coverages to meet your individual needs. Accidents happen every minute of every day— even to the best drivers. Yet all too often, people underestimate the importance of purchasing a Personal Auto Policy with complete auto liability coverage. With the costs of vehicles and medical care soaring, just one accident involving significant damage and injuries to you or others could catapult you into financial ruin— even if you think you’re covered. How? You may assume the other driver is insured, since most states require vehicle owners to have auto liability coverage. But many people are either uninsured or purchase only the minimum limits required. What would happen if you were seriously injured and the other driver wasn’t properly insured? Without sufficient Uninsured/Underinsured Motorists Coverage, you could face significant “out-of-pocket” medical expenses. Protect your piece of the world with a comprehensive Personal Auto Policy from MMG Insurance Company. It may just be the smartest financial decision you make this year. In addition to providing a wide range of liability and uninsured/underinsured motorist limits, we offer exceptional rates for the safe, experienced driver and competitive rates for customers selecting higher physical damage deductibles. Enhanced Replacement Cost Endorsement Coverage – this outstanding endorsement ensures that should you have a covered loss, the replacement cost will be based on a new current model year vehicle or the Manufacturer’s Suggested Retail Price for a current year model. Ask your agent for full details. Auto Loan/Lease Coverage Eligibility – if you have a policy that provides both collision and comprehensive coverage, you may extend that policy to cover the difference between the debt you still owe on your loan/lease agreement and the actual cash value of the vehicle. Ask your agent for full details.